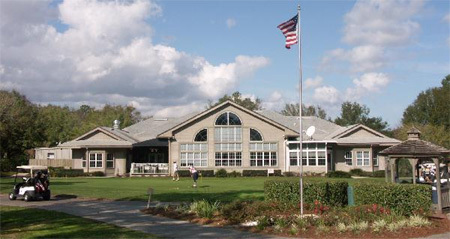 Windsor Parke golf community in Jacksonville, Florida. Windsor Parke is a golf community, featuring 18-hole course designed by renowned golf course architect Arthur Hills. Its location on Hodges Blvd., just north of J. Turner Butler Blvd. is centrally located and makes it easily accessible from to the entire Jacksonville area. Windsor Parke Golf Club is the premier 18-hole championship golf course, which features sculpted, rolling fairways, strategic bunkering and dramatic elevation changes typical of a Hills layout. Windsor Parke has the distinction of being selected as one of the top 100 Florida courses, and is the only nationally rated course in Jacksonville. The course was rated the 4th best new course in the nation and best new course in the Southeast by Golf Digest in 1992. The course was also selected for three national USGA qualifying tournaments including the US Open. Activities center around the 7,500-square-foot clubhouse with fullly equipped Pro Shop and full service dining with 19th Hole Lounge that overlooks the first and 10th tees. Homes range in price from the upper $300's for garden homes to several million for estate homes. Call (904) 307-8998 or email me updated availability and schedule a tour.